Greyhound racing has largely become a regional phenomenon in the United States. In fact, most of the dog tracks that still exist are in just one state, Florida. No one knows this problem better, or is more committed to change in the Sunshine State, than GREY2K USA Board Member Kathy Pelton. 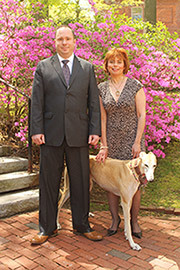 Kathy first became an advocate in 2002 after adopting a greyhound named Eddy. Eddy was a particularly clever greyhound who was able to open doors. He was protective of Kathy, and they had a special bond until he passed at the age of ten. Today, she lives in South Florida with her husband Ken and another rescued greyhound named Molly. Kathy is a real force when it comes to educating the public about the problems with dog racing, and regularly holds educational tabling events. She is also politically engaged, and helps lead GREY2K USA's grassroots lobbying efforts in Florida. Kathy told me that she is particularly concerned about the injuries greyhound suffer in the racing industry. She points out that these injuries, which are too often fatal, cannot be denied by even the most ardent dog race promoters. Looking forward, Kathy is hopeful that Florida lawmakers will pass greyhound decoupling legislation when they meet again early next year. 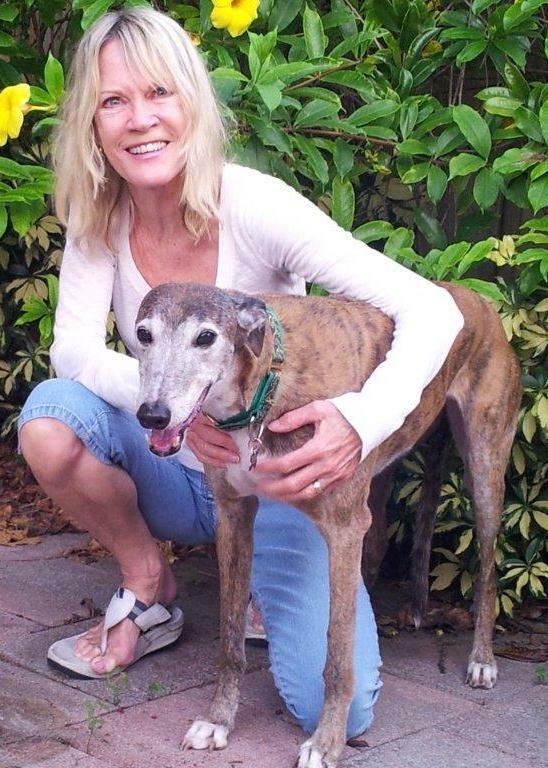 To her, the passage of this important bill would be the start of a new chapter for Florida's greyhounds. At GREY2K USA, our passion for greyhound welfare is equaled only by our determination to get the job done. Kathy Pelton is an powerful example of this determination, and we are fortunate to have her on our Board of Directors.